When you click on the link you will not be able to enter now but please come back later. I have sent an email to Rafflecopter support and it seems it is a problem on many blogs, so please be patient. First of all I would love to thank all those wonderful people who have entered my 101 follower Giveaway and welcome to my new followers I hope you enjoy my little blog and you can pick up at least one new idea! I also wanted to share some pics from our Maths tubs this week. My kiddos love doing maths tubs and it is a great way to revise and reinforce every Strand in the curriculum on a daily basis. These kiddos are playing Place Value Snap (click to check it out at TpT) and decided to change it to Place Value Go Fish. These kiddos are using centimetres to draw pictures. I am currently using this concept (excuse my really poor pictures, I am so not an artist) to make task cards with measuring in centimetres, metres and millimetres. Just a quick one today to remind all to enter my 101 follower Giveaway! There are some fabulous Winners Choice prizes from some wonderful bloggers! Well I am off to get ready for the day, my TA is away for the rest of the week, so another busy week for me! On a side note, I ran into a friend who used to work at my school, we had a quick catch up chat, the "How are you? What have you been up to?" sort of thing and she said to me "I've been keeping up with what you are doing on your blog." How cool is that, I don't know of anyone else at my school that is following my blog. Thanks Sophie, you rock! I have reached 101 followers and we all know what that means! It's a giveaway (sorry folks no steak knives with this one!) I have some fabulous contributors for this giveaway (wish I could enter)and all prizes are winners choice from the these lovely ladies TpT stores. The Giveaway will run for a week and the winner will be announced next weekend! Thank you to these lovely ladies for their support and to all the people who visit my blog! 3. My Teacher aide has been in hospital (she is ok and fingers crossed we see her next week) and she was not replaced so I had total care of my special needs (extremely high needs) student whilst teaching the rest of the class. Good news is I have a visiting hearing impaired teacher who comes 3 times a week so that helped somewhat and I learnt alot of new Auslan signs this week. My kiddos were so great, they helped out by staying on task, reminding my little to go to the toilet, working on her lessons with her. I was so impressed with their maturity and caring, you better believe they ALL got an icy pole for a treat yesterday. So it has been one of those weeks! I also have my 101 Follower Giveaway starting tomorrow, (a big thanks to all the ladies contributing) so had to give myself a quick tutorial on Rafflecopter and HTML code! Well it is done now and I am going to do absolutely nothing (except some housework, cooking, walking/washing the dogs and taking kiddos to the pool) for the rest of the weekend! Hope you enjoy yours! Tracey from Third Grade All Stars has boo'd me, this one is different from my previous boo and has different Boo rules, so here goes. If you've been booed, copy and paste the above pic and these "rules" into your post. 1. Give a shout out to the blogger who booed you and link back to their site! 2. Share 3-5 October activities, books, products (yours or someone else),or freebie(s) that you love! 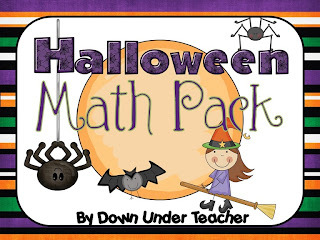 Ok, as I have mentioned before Halloween isn't a huge deal here in Australia (well, where I live) so I don't have any of my own Halloween activities to share, but I will link to a few that I have seen around. First like many others my favourite book would have to be Stellaluna, because I used to live in areas where fruit bats were prolific and also it is a great Australian author. I'm not sure if many of you remember Meg and Mog but I just loved these books when I was a kid, the illustrations are fabulous. 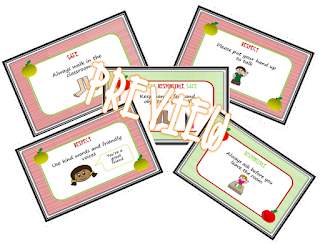 This is a comprehensive pack from my lovely bloggy friend Kylie at DownUnder Teacher. Righto, on we go! 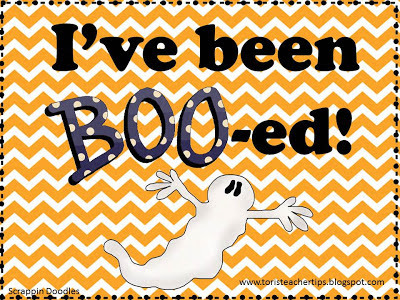 It is getting very difficult to find someone who hasn't been boo'ed so I will do my best but am not sure I will make 5. Ok that's all I got! I gotta hit the sack, we have our Spring Garden Fair tomorrow and I have to finish my stall sign, mount my kiddos artwork for display, finish my Lucky Dip boxes and about 5 gazillion other things. Oh and I am without a Teacher Aide as the poor thing has been in hospital with an infection for the last couple of days...and she hasn't been replaced, so quite hectic in my classroom but my darling kiddos have stepped up and have helped me and our special friend so much I am taking icy poles in tomorrow as a special thank you to them all. Wow! When I clicked on the blogger dashboard this morning I was so excited to see 101 followers! I have been hovering around 96 for a while now and thought it might take a little longer for that magic 100 to pop up. So...I am going to have to get together a giveaway! Yay! Good news is I am feeling better today and was back at school, my carpool buddy had also been away with the same thing, poor thing she is pregnant, (due in January) she almost thought she was having contractions. I cannot complain too much now. We are getting ready for our Spring Garden Fair and my class is doing a Lucky Dip with a bit of a twist. Instead of just paying your money and choosing something from a girl/boy box, I have coloured just the ends of paddle pop sticks either red, green or blue. These will be put in (coloured side down) into a box filled with sand so that you cannot see the colours, kiddos will choose a stick and then choose something from a prize box that has a corresponding colour. It really just adds an extra step but makes it a little different from how we did it last year. So I have been busy getting prizes together, colouring sticks, organising a roster (because I can't stay for the whole time.) I am looking forward to it and it is always a great fundraiser for our school but I am also looking forward to it being finished, so I can start reports! Oh bring on the end of the year. I do think this is a really cute idea and there are rules to follow just like every game...so here goes. Here's how to play. Choose a fellow blogger that has MORE followers, another that has about the SAME number of followers, and last, someone that has LESS followers. Highlight their blogs with links to encourage others to check them out. Don't forget to let your fellow bloggers know that you shared about them. Lastly, leave them some love by offering them a goody from your store as their "treat." The first blogger I am going to BOO! 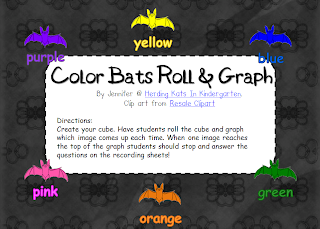 is Jennifer at Herding Kats in Kindergarten. I love reading her posts and she was one of the first bloggers I started following, I was really amazed to find out how much we had in common after having a "chat" to her. The next blogger I am going to BOO! is Kelly form An Apple for the Teacher. I love the name of her blog and I love reading her posts! The final blogger I am going to BOO! 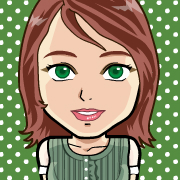 is Kirra at Teacher Kirra. She is a fellow Aussie that teaches English in Mexico! Wow! I love her enthusiasm in her posts, her bubbling personality comes shining through! 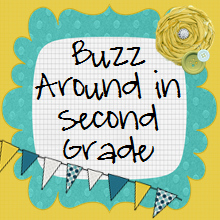 Thanks to Cynthia from 2nd Grade Pad for starting this linky! Well I have expended all my energy, time to go back for a nap before I pick up the kids.....hope they don't get this! I just wanted to share a couple of pics from our first week back at school. At the beginning of the week my kiddos were struggling with adjusting to Daylight Savings but by the end of the week they were good to go! They are an apple and gingham theme and they are FREE! Click on the pic below to get your copy. 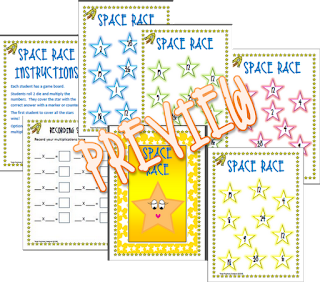 The other item is my Space Race multiplication game. It focusses on times tables to 6 and is also available as part of my Multiplication Mega Pack but I thought that maybe some people may just like to download it as a seperate item. Click on the pic below. Of course this meant I had to learn the Auslan sign for lizard, so funny it is your first 2 fingers and the action you make is like you are poking your tongue out but using your fingers. Hilarious, I had about 40 odd kids out there all signing lizard. Anyway he went on his way, hopefully he will come back another day! All in all a good week, next week we start narratives! I had an awesome day with my class today, not even Daylight Savings and up and down weather could bring me down! This is how it started....during Daily 5 I was reading with a group and one of my littles was having a struggle with one particular word, I waited and observed the strategies he was attempting to use, then the little girl next to me pipes up with "Coaching or time?" I was so stunned I didn't really have an opportunity to jump in, the little boy replied to her, "Coaching please." She said, "Maybe you need to try some other strategies, what about flip the sound or chunking?" Together they worked out the word, went back and re-read to Check for Understanding, all without too much input from me! Remember this is Guided Reading, not Read to Someone. I was almost superfluous, she also decided that she needed to give the students some positive feedback, like " *insert name* you read a little bit like a robot, but I really liked the way you used expression!" I was blown away......then.....the other students decided that if she could do it so could they! The positive feedback was flying thick and fast, the strategies were being suggested and used! The fantabulousness ( I think we are allowed to make up words because we are educators) did not stop there. After lunch we worked on finding keywords in math word problems to identify what algorithm we were going to use. Then they had to solve the problem and explain how they did it. One little said for this alogorithm 12 + 15 + 17 = ......" I just used the split strategy, 10, 10 and 10, that's 30...then 5 and 2 is 7 and there is another 7 so that is 14, 30 +14 is 44!" Woooohooooo. I think they are too cute and I love the green and gold! The best was to be the last of the day! My student with special needs (hearing impairment, visual impairment and intellectually disabled, you can read about her here and here ) made a huge breakthrough today. Keep in mind that she is in a Year 2/3 classroom and operates at a pre-kinder level....well today she drew a picture and "told" (she signs so I had to adlib a tiny bit) me a story about her picture. This is the first time she has ever done it! Previously she has only traced and copied words, letters, sentences etc, she didn't seem to get the concept that she had to explain her pictures. I am going to be very indulgent here as I am a very proud teacher today and here are a few pics to show you her achievement! These are the 3 pics she did today! She usually signs just the first letter for peoples names, this is her Teacher Aide. I guess you can tell how proud I am of her! I must admit it was a bit difficult to hold back the tears and many of the other kiddos were giving me a bit of a strange look, but were very quick to compliment her on her hard work. I was a blubbering mess and to help her celebrate I sent her to visit the Principal, who promptly came to see me and joined in on the blubberfest. We are hoping this is the beginning of her writing journey and I am so privileged to have been there when it started for her. What a magnificent day to be a teacher!